All About Family and Community! David Machesney (left), company president, and Tom Gridley of Pratt Abbott. Earlier this year, the business received the U.S. Small Business Administration (SBA) 2018 Family-Owned Business of the Year Award for Maine. Bright Blue Skies! 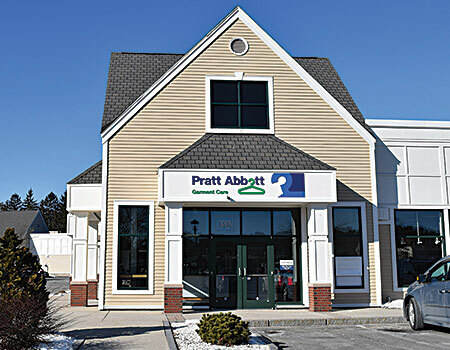 Pratt Abbott serves 60-70% of Maine’s drycleaning market. The company has three main sectors: dry cleaning, vended laundry, and uniform and linen rental. 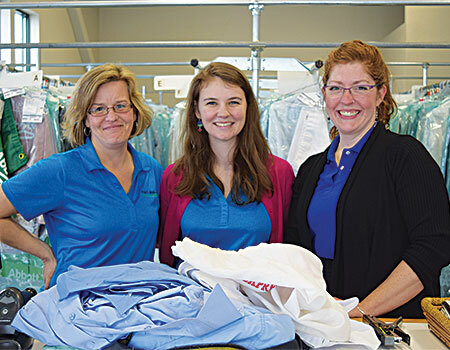 CHICAGO — If you live in Maine, you might be a customer of Pratt Abbott Garment Care, the state’s largest provider of drycleaning, vended laundry and linen/uniform rental services. 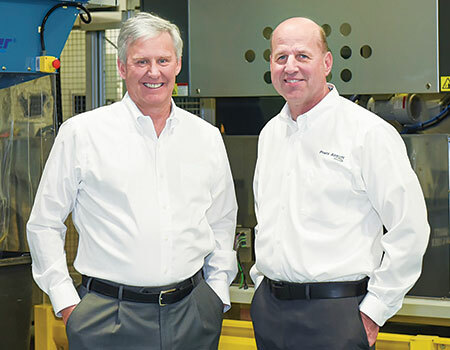 “One of the reasons we have all three business sectors is to provide volume to afford a management infrastructure which allows our employees growth opportunities,” says David Machesney, who, along with his father Jim, purchased the company in 1991. The other, he maintains, is because providing “everything clean” simplifies life for customers. The firm umbrellas 12 drycleaning facilities, eight vended laundries, and a 50,000-square-foot linen and uniform rental plant. By design, multiple revenue streams feed the Pratt Abbott enterprise. Uniform and linen rental, the most profitable of the firm’s business sectors, began in the 1970s, but only recently ballooned into super-performer status. Making up a robust 58% of total company revenue, the uniform and linen service provides pickup and delivery of cleaned and leased garments and linens. During the last 12 months, it has realized double-digit growth, according to Machesney. Thanks to the new plant’s size and equipment mix, he expects that growth rate to continue for the next two to five years. Committed to improvement, Machesney ensures his drycleaning locations, plants, and vended laundries operate at peak performance. He reinvests for big returns. “We continuously improve all our processes to provide innovative services that increase satisfaction, quality and value for our customers, and create profitable growth for our company,” he says. During the last decade, for example, he’s renovated several vended laundries, which resulted in a per-store revenue bump of 10-30% and utility cost savings of 50%. “We like to diversify our assets and control our destiny,” he notes, “so in addition to having the three different segments of garment care industry, we invest in commercial real estate to control our locations and further diversify our assets. Machesney is ever on the hunt for new opportunities. His most recent development is new Express Laundry Centers in North Windham and Yarmouth, Maine. Grateful for the company’s success, Machesney and his team make a point to give back. “We are active volunteers of Junior Achievement,” he points out.